Firefighters Movers Carrollton TX | Firemen Movers - MoveStar Inc.
Carrollton, a suburb in the Dallas/Ft. Worth area, was named by Money Magazine as the 15th best place to live among the small cities in 2008. The city started as an agricultural hub, but over time, it has grown to become a center for new business opportunities. The growth and transformation of the city is attributable to the expansion of transportation infrastructure in the city. Carrollton boasts of having one of the best employment rates in the state. The employment rates remain high courtesy of numerous multinational companies that have made the neighborhood their operating base. Carrollton, being an economic hub, welcomes business owners and start up entrepreneurs. Owned and operated by firefighters in Dallas Fire and Rescue. We care as much about your possessions as we do your safety. Our experienced firefighter movers will ensure the transition for local or long distance relocation is as easy and as stress-free as possible to so that you are completely satisified. We are one of the few local moving companies that offer additional services such as long-term storage and furniture refinishing and restoration. If you are on a budget and would like to rent your own truck, Movestar can load and unload your boxes and other items for you. Our fireman movers are experts at loading and unloading, as well as maximizing the available space on your truck, container or trailer. 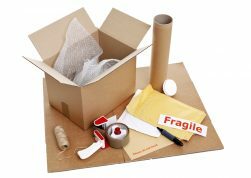 We will meet you at your office with the necessary equipment to load and unload your items easily and safely. 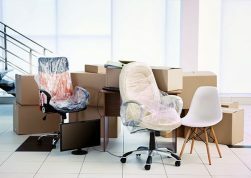 Our concern for your furniture and equipment starts with our first visit to your present office or plant and ends when you are totally satisfied at your new location. For questions or to receive a quote by phone please call 972-716-9911 or Request a No Obligation Quote today!